Certified Havening Practitioner, Registered Clinical Hypnotherapist, NLP Master Practitioner, Life Coach, with a private practice in Portsmouth and a bi-weekly in Southport. Sue has worked in a healthcare setting for most of her working life and more recently within the ambulance service for the last 13 years. Dealing with traumatic events on a daily basis, she is very comfortable working with people who have experienced traumatic events in their own lives. Personal experience of M.E. /CFS drove her to seek alternative therapy, following a complete recovery she decided that she wanted to help other people to achieve the same results, and there began the road to a new career. 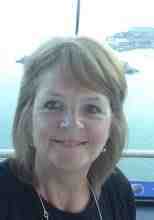 Sue is passionate about helping people to move on with their lives and achieve their goals. For Sue, working for the Ambulance service she has seen many clients and had much success with helping people to move on quickly from their traumatic experiences. Trauma, Phobias, Interview nerves, Fear of flying, Anxiety, Grief, Low self-confidence, Stress, and in fact anything that is holding you back from having a life that you love! Thank you for the havening session, the results have been quite dramatic. I immediately noticed how drained I felt after the session and it was odd that my hands were quite painful, but I now understand that this could be a "metaphorical" associated feeling! I have also been told that I have stopped talking in my sleep and that my sleep apnea has also stopped completely. Most significant is the fact that I feel like I am getting back to my old self and this was confirmed by a couple of my customers who actually commented on the fact that they saw a dramatic difference in my persona. I genuinely feel "lighter" and more in control of everything. I understand that I will no doubt benefit from a couple more sessions, as there are possibly underlying issues which over the years have imbedded themselves in my subconscious and I will have no reservations in booking further appointments with you whatsoever. Not only did I find the session liberating and not remotely invasive, but as stated above, the results have been somewhat impressive. Thank you so much for taking the time to see me and for making me feel comfortable from the onset. I was introduced to Sue after my bad motorcycle crash in france. I was having a bad time as constantly thought about it and i was very low. I was a bit dubious about the session as I have had councilling before but i was totally taken back. I was instantly put at ease by sue. I was given a lot of information before hand so i could prepare myself. The session was amazing I felt relaxed throughout. After the session had finished i felt at total ease. I could not even picture anything about the accident even though i could remember i had it. I approached Sue about another problem in my life and again that worked exactly the same. When I saw Sue, she suggested using the havening techniques to help eliminate an image that had haunted me for over a decade, I felt I had nothing to lose and decided to give it a go. I was somewhat apprehensive and dare I say a little sceptical of the process but at the same time willing to try it. Sue asked me a number of questions to check that I didn’t have any deep hidden fears that she needed to be aware of. The process took about 15 minutes and Sue asked me to find the image that had been bothering me for such a long time. The image had gone and when I try to retrieve it the first image I see is a neutral coloured blank space. It does appear ‘too good to be true’ but it works and I am astounded that it is possible to trick the mind in this way. Even when I really try to think about the image there is no clarity. Amazing! Aside from this process helping me to eliminate this nasty recurring image, I remained in high spirits for at least a week afterwards. This was endorsed by people close to me saying they wanted a ‘dose of what she gave me’ that day! Sue looks towards the future, rather than dwelling on the past and her positive energy is infectious. I would recommend her services as a method of receiving a ‘feel good factor’ and rectifying underlying problems that she can help minimise or eradicate altogether. I was encouraged by a friend to try the Havening Therapy offered by Sue after I felt overwhelmed and lost, inundated by stress and worries. I was diagnosed by my doctor with depression, stress and anxiety but didn't want to take medication as a "quick fix". My "falling into a black hole" was triggered by my mother having a heart attack, which uncovered more and more doom and gloom within me, problems or experiences from years ago reared their ugly little heads and I felt like I couldn't cope any longer...but somehow Sue managed to work through all of it with me. She was brilliant from the start, even though I was too scared to call her on the telephone she was patient and understanding and we communicated by text and email until I felt confident enough to book a session. I was amazed by the effects of just one session- I felt much lighter and relieved. I was even able to start driving again, something which I hadn't had the confidence to do in almost 9 years! I was simply reflecting on my session and I found myself having all sorts of realisations, one of which was that I had a fear of abandonment. We focused on that during my next session where we also tried Transpirational Havening to draw out all of my negative feelings and emotions. Sue is always at the end of her phone, I could (and still can) text or email any time and she will always have time for me. She even sent me a book with compliments to help me continue growing and improving as a person. She has inspired me to be kind to myself, see the positives in life, and not worry about what others think of me. I'm becoming a better, more confident and happier person every day all thanks to Sue's encouragement and guidance. I think everyone should try Havening, the benefits are endless! I have some feedback for you!! Firstly - thank you so much for quite honestly completely changing my life. Sounds dramatic, but the fact I have enough resolve to actually type this to you during a thunderstorm speaks volumes. Before, I would be hiding as far away from the windows as possible, hyperventilating and hysterical. Now, after deploying a couple of the "anchors" you taught me and a little Havaning... I'm not only still in bed next to the window I have actually been able to watch a little of the storm. This is something I NEVER thought I would achieve and I can't thank you enough. A very very satisfied customer. Thank you! I came to Sue with a deeply personal problem, a little over 1 year ago I was put into a very dark place and this affected my whole world. Everyday for me was a struggle, even the tiniest things like going to the shops, I would be constantly on guard. This was no way to live and honestly was making everyday harder and harder, my relationship with friends and family had gone down the drain but I'd been told time and time again it was not my fault, but this left me in a state of confusion, anger and many more dark thoughts. When I found out Sue does Havening, we spoke privately first about my problem and Sue explained to me exactly what Havening is and speaking to Sue felt extremely reassuring, I knew I could trust her. Sue invited me to have a session of Havening, at first I wasn't sure if it would make a difference and I certainly didn't realise the massive impact it's had on my life since. Sue was ever so calm and has a very soft voice and was very sensitive about why I'd come to see her. I knew that what I told her would stay between us, which felt very reassuring. Ever since I had Havening I am able to go out and NOT lock myself in my car, I'm able to go into town or to the shop and feel very calm. Of course the memory remains, however it's very distant... and now if I choose to think about it or if something reminds me about it, there's no emotion to come with it. I will be eternally grateful to Sue, immensely professional and a very warm hearted person, who truly cares. Sue also helped me with my fears of Jellyfish, ever since being a young girl I was stung in the sea and hadn't been able to step into the sea since due to the fear it might happen again. With Havening Sue has managed to take the fear away! I can't wait to swim in the sea in the summer! I want to say a big thank you to Sue for introducing me to Havening. I am a huge advocate of positive psychology, but after a difficult 8 months being plagued by poor health and various complications, I found I was falling into bad habits that were allowing anxiety to take hold of me. Prior to the session I was nervous, but also excited, as its clear Sue is so incredibly passionate about this technique. Sue explained the process to me clearly and made sure I was comfortable before proceeding. We discussed previous events that may have led to the anxiety, it was emotional, but Sue listened sensitively and helped me rationalise these thoughts. After the session I felt exhausted, but I also knew a huge weight had been lifted off my shoulders. The negative feelings that had been building in momentum for the past few months had entirely disappeared, to the point that I felt as though I may have wasted Sue’s time. She explained that this feeling is common after treatment because its very difficult to recall what was causing the distress in the first place. Over the past few days I have been ‘testing myself’ trying to provoke a reaction with the very thoughts that had caused me so much angst recently. I cant…. I feel calm, empowered and excited by the prospect of what is happening over the next few months. Something I wouldn’t have been able to feel without the help of Sue and the Havening technique.